I guess press conference's introducing new managers at The Valley have become a little old hat as there is little around the media giving us much information on the introduction of Alan Pardew to the press. One good thing was there were no writs issued this afternoon, not even from Mrs Reed, who has got her husband back after his 41 days acting out a story from Mr Benn. The official site promises more later but this report in The Times pretty much covers the bases. "My message to the players was whatever happens, we’re going to fight all the way to the end and make sure we draw in somebody else and put them under pressure." This morning's papers were expecting a bit more meat on the bone but I expect Charlton just want to move on very quickly and get themselves off the back pages. The Independent said that Pardew will be given £5m to spend in January, and Darren Bent may well be sacrificed. Hayden Mullins is an obvious name that has been attached to a move across the river next week. 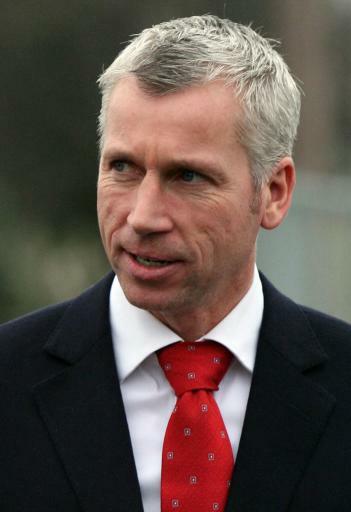 Pardew will also earn a £1m bonus if he keeps us up, a drop in the ocean to the expected £35m minimum of television money that will be given to each Premiership club at the beginni ng of next season.